In designing new offices for PricewaterhouseCoopers along London's River Thames, Norman Foster's architecture firm spent an extra 1.2 million pounds (1.5 million euros) with an eye on climate change. That wasn't enough. Four years after moving in, PwC is paying 100,000 pounds for new barriers to protect against flooding below ground level. "There's a serious risk," said Jon Barnes, head of building and technical services at PwC in London. The flood doors, which will be installed in the next few weeks, are for "critical plant areas so that if we do have a flood, we're not destroying our transformers." Legionnaire Rick O’Connell has married his Egyptologist girlfriend Evelyn and the couple has settled in London, where they are raising their young son Alex. The family’s domestic tranquility is shattered when the 3,000-yearold mummified corpse of Imhotep is resurrected once again to resume his evil quest for immortality. Helsinki Times is the only English-language, weekly newspaper in Finland. Helsinki Times staff have now put together an English programme for 2014, with the aim of providing inspiration and motivation for those who want to improve their skills in the language. The programme contains eight study modules - each one based on articles published in the most recent edition of the newspaper. A range of exercises introduce learners to the material and help them gain a deeper understanding of the language - included are; text comprehension exercises, verb usage, vocabulary building and lots of other interesting activities. Instructors' answers are also provided. Collect eight annual subscriptions to Helsinki Times for just 42€ per subscription (normal price of subscription is 96€) and you’ll receive eight ready-to-use English language lessons by email, free of charge. For an annual subscription fee of 336€, eight copies of Helsinki Times will be delivered every Thursday (excluding June and July, 42 issues in total). This offer includes eight English language programmes by email, and two gift books: Finnish After Dark and Spellbound. An individual subscription to the programme is also possible. The price is 152€. The study materials will be sent by email on the above dates to teachers. Please include your contact details, the postal address (one or more) to which the newspaper will be delivered, and the billing address. For more information, please call us on 046 810 3174. 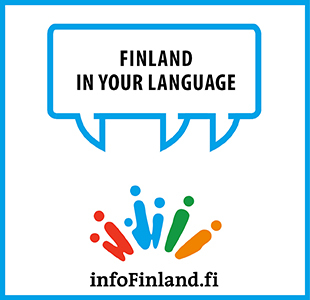 Helsinki Times language study packs are produced in cooperation with Learnmera Projects. Helsinki Times on Suomen ainoa englanninkielinen viikottainen sanomalehti, jossa voi lukea Suomeen liittyviä ajankohtaisia uutisia ja artikkeleita englanniksi. Helsinki Times on nyt toteuttanut uuden englannin opetusohjelman vuodelle 2014, joka on tarkoitettu inspiroivaksi materiaaliksi englannin kielen opetukseen! Helsinki Timesin englannin kielen opetusohjelma vuonna 2013 pitää sisällään kahdeksan opetusohjelmaa, jotka perustuvat aina viimeisimmän numeron artikkeleihin. Jokaisessa opetuspaketissa oppilaat tutustuvat moderniin uutisenglantiin erilaisten harjoitusten kautta. Opetusohjelmassa on tekstin ymmärtämisharjoituksia, verbiharjoituksia, sanastotehtäviä ja hauskoja harjoituksia, jotka perustuvat valittuun uutisartikkeliin. Mukaan tulee myös opettajan vastauspaketti. Miten saat Helsinki Timesin englannin opetusohjelman lukuvuonna 2014? (poislukien kesä- ja heinäkuu, yht. 42 numeroa). Lisäksi saat kaupan päälle kahdeksan opetusohjelmaa toimitettuna suoraan sähköpostiisi sekä yhden Finnish After Dark ja Spellbound kirjan! Yksityisen tilaajan hinta on 152€. Ilmoita yhteystietosi sekä toimitusosoitteet (voi olla useampia kuin yksi) ja laskutusosoite. Kysy lisää numerosta 046 810 3174! Opetusmateriaalit tuotetaan yhteistyössä Learnmera Projectsin kanssa. With the golden hammer and sickle on flags fluttering on public buildings and the monuments to Lenin, Tiraspol does little to hide where its heart lies. Distribution Available on annual subscription, and on sale at R-kioskis, bookstores and newsstands (price €3). Also available at hotels, tourist offices and airports and on over 350 Finnair flights every week. Helsinki Times is a tabloid format newspaper, with an average circulation of 15,000 copies. According to a reader survey (autumn 2007) the readership of Helsinki Times includes foreigners working in Finland, professionals and diplomats stationed in Finland as well as their families. In addition the readership includes people visiting the country on business or vacation, as well as everyone around the world with a special interest in Finland and the news related to it. According to the survey Helsinki Times has about 30,000 readers a week who represent over 20 different nationalities. Therefore an advert in Helsinki Times will be read by a growing number of people visiting and living in Finland, whose first language is not Finnish. Helsinki Times is on sale at bookstores, newsstands, railway stations, hotels and airports throughout Finland, priced €3. In addition it is available at all of Finnair’s return flights to Finland: 7,000 copies are distributed weekly on 350 flights arriving at Helsinki-Vantaa Airport. In addition Nokia subscribes Helsinki Times to all its foreign employees. Helsinki Times is also available on annual subscription for €96, delivered hot off the press to your home or business.